A Natural Driftwood Sailboat. Each Sailboat is handmade so no two are alike. 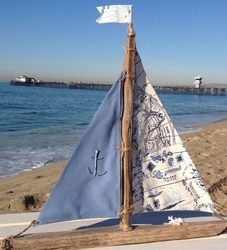 This Sailboat measures approximately 11x14 to 12x16 depending on the Driftwood available. Larger sizes available. 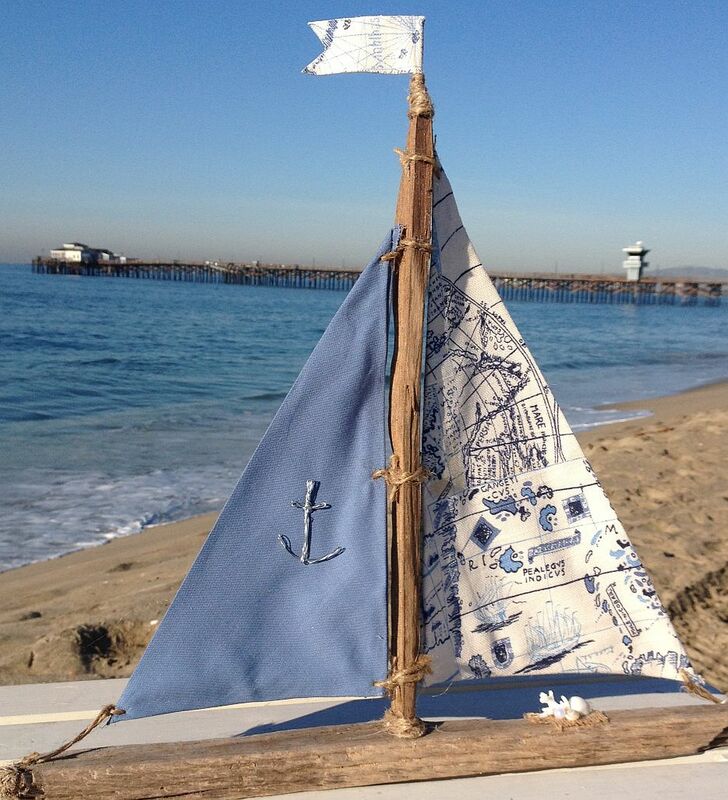 This Boat has a Nautical Chart Print along with a solid blue and a silver Anchor accent piece.